BetOnline is one of the top acknowledged bookmakers in the world ranked in top 50 of the most prestigious reviews sites. It offers casino, sports and horse race betting markets. The company started its business in 2004 and had since developed in one of the biggest international gambling companies. The site is one of the pioneers in online betting and has introduced some of the most innovative betting markets in the industry. Betonline was the first gambling site to accept a wager from a climber on Mount Everest, which brought a huge boost to popularity for the site. The company donated $20 000 from the campaign to charities. 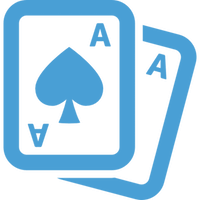 Another marketing push was held in 2011 when the site joined forces with the Action Poker Network and was the first to introduce U.S. players. The company had problems with the U.S. government that lead to changing the domain to .ag from .com. CEO of BetOnline is Eddie Robbins III, and the company’s headquarters are located in Panama. BetOnline has gained a lot of its popularity due to its fast payouts and high wagering limits. The online bookmaker is developing rapidly and its audience is surely growing as well. We expect increased range of their services in the recent months and even more interesting surprises from this fine entertainment giant. BetOnline has created a very user-friendly and intuitive interface on their site. Every menu can be found easily, and you can start betting with just a few clicks. Colors of the site are dark, and you can open an account easily using the offered register form on the home page. Opening the sportsbook section will take you to the action of all ongoing or future famous sports events. As a U.S. oriented site, you can find markets on Baseball, NFL and Basketball easily. Of course, Europe’s favorite soccer is there as well as tennis and hockey. Right below the major sports you can find the “Other Sports” section. There boxing or auto racing fans can find betting markets for their championships. The live betting option is right above all sports, and there you can find all events that accept live bets. For non-sport gambling fans, there are the Casino and Poker betting options where you can find a healthy amount of bonuses presented to you right away. Skill games as dominoes, Yahtzee, spades, and Tong are also available. The platform offers on the go betting where you can simply type in the address of the site, and you’ll be redirected to the mobile version of the site. It also has a Betonline client app for your desktop that you can easily install. Using it will make your betting experience much faster without the need of a browser. BetOnline has an exciting setup of markets you can place your bets. You can place you basketball wagers on winning team, spreads, moneylines, total points or team points. For baseball, you have run line, money line, and total run options. For boxing, there are again moneyline and total rounds options. Your bet slip can be a straight bet, parlay, and Robin If bet and reverse and teaser and pleaser. Supported odd formats of the site are EU (decimal), UK and US. Football betting opportunities are well developed and the bookie supports various betting options for its client. The standard 1X2 is available as well as correct score, over/under, half-time/full-time, draw no bet, double chance and many others. The company has made sure their clients receive the safest and most enjoyable betting experience in the industry by offering excellent customer support. The customer care team is well trained and fully prepared to assist any clients’ requests. The site has the SSL encryption that provides the safety and security of all user data. All customer service employees are available for the question concerning betting and site problems. There many ways to contact them with live chat being one of the best (however you’ll need to deposit funds first). The usual email and phone options are also available. A very useful option is that there are different email addresses for the casino, sports, skill and poker related questions that make their response fast. The site supports the “Responsive gambling” policy and wants to create a healthy and friendly gambling environment for their customers. Users under the age of 18 are not permitted to gamble on the site. The site has a very strong presence on Facebook, Twitter and Google+ where you can follow their newest deals and offerings. BetOnline has made a lot of deposit methods available for their customer. You can transfer money with bank wire or use VISA and Mastercard. Digital wallets as Neteller and Skrill are also available. Accepted currencies for the site are USD and Bitcoin. Minimum deposit amount varies a lot between different deposit methods. They go from $20 to $1,500 if you want to use a cashier’s check. Maximum deposit sums go from $1000 (forJCB/Diners/Discover) to No limit (Bank wire, Skrill, Book-to-book Transfer). For withdrawals, you can use Wire Transfer, Moneygram, Western Union or Bitcoin. Minimum withdrawal sum is $100 (Bitcoin), and maximum withdrawal is for Wire Transfer ($24 900). The 25% lifttime bonus is very attractive. It means that on every deposit you make (minimum eligible deposit is 50 USD and maximum is 1000USD) you can have 25% bonus if you request it. But here comes the requirements: there is a six times rollover requirement associated with the bonus and no withdrawals can be made within 30 days. Also deposits via Book-to-book, Skrill and Neteller do not qualify for this bonus. As the site is very conscious about their Casino Promotions, you find bonus offers for up to 100% Slots Match Bonus on every deposit of at least 100 USD.